What is happening in Yemen has been described by the United Nations as “the world’s largest humanitarian crisis”. The civil war has been going on for more than three years, and currently, 22.2 million people are in need of humanitarian aid and protection. It is a crisis that is too catastrophic to imagine, and yet we don’t talk about it enough. 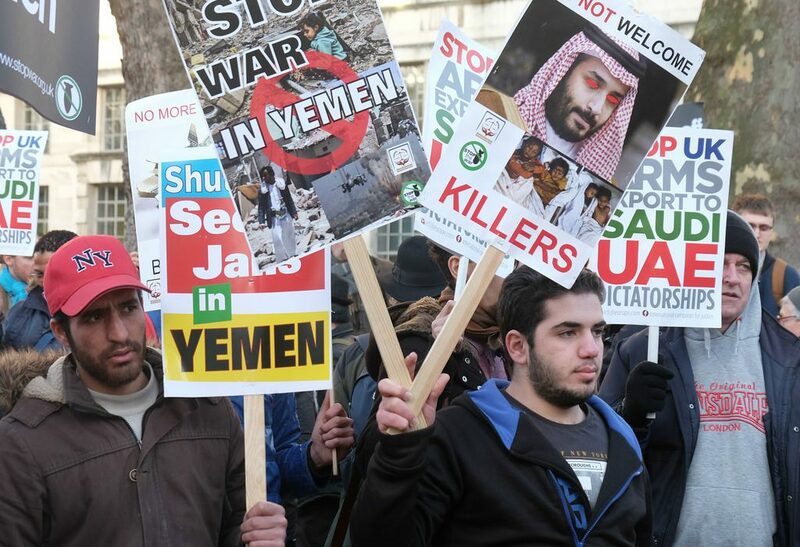 There are organisations such as “Stop the War Coalition” that are drawing attention to UK and US involvement in Yemeni war and carrying out demonstrations against it. As well as holding demonstrations against the government’s complicity in the war, the organisation is planning a public meeting in Manchester this December. These kind of meetings are essential; we need to keep talking about the situation in Yemen, not only to raise awareness of the heart-breaking humanitarian crisis that is happening, but also to ensure that the complicity of the UK government is recognised. In the past, the UK preferred to stay silent on the conflict and refused to call on either the Saudi-led coalition or the Houthis to end the conflict. Defence Secretary until November 2017, Michael Fallon, called on MPs to stop criticizing Saudi Arabia’s violation of human rights in the interest of securing a fighter jet deal in 2017. Now though, with the murder of Jamal Khashoggi in October drawing attention to the humanitarian crisis in Yemen, the UK has decided that it was finally time to at least support the UN-led peace process. However, whilst supporting UN peace talks is a step in the right direction, it is not enough. The UK still provides arms and military training for Saudis. It even has financial interests in this war. Combined with the United States, the UK has the power to stop this conflict. Bruce Riedel, a former CIA and Pentagon official, said in 2016 that if the governments of UK and US told the Saudi King that the war in Yemen had to end tonight, it would stop tomorrow, due to the US and British support required by the Saudi Air Force. So, what could we do about this? Despite the UN’s calls for ceasefire, the fighting continues. The coalition airstrikes continue to hit cities in Yemen. And the UK continues to sell arms to Saudi Arabia; making itself complicit in causing the worst humanitarian crisis in the world. The only solution right now seems to be civilian resistance.